Presnel Kimpembe (Paris Saint Germain) is shown the yellow card. Goal! Paris Saint Germain 2, Marseille 1. Ángel Di María (Paris Saint Germain) left footed shot from a difficult angle on the right to the bottom left corner. Assisted by Thilo Kehrer. Attempt missed. Leandro Paredes (Paris Saint Germain) right footed shot from outside the box is too high from a direct free kick. Goal! Paris Saint Germain 1, Marseille 1. 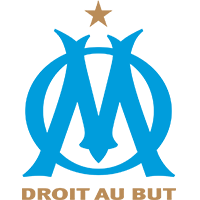 Valère Germain (Marseille) left footed shot from the centre of the box to the bottom right corner. Assisted by Lucas Ocampos. Second Half begins Paris Saint Germain 1, Marseille 0. First Half ends, Paris Saint Germain 1, Marseille 0. Goal! Paris Saint Germain 1, Marseille 0. Kylian Mbappé (Paris Saint Germain) right footed shot from the left side of the box to the bottom right corner. Assisted by Ángel Di María following a fast break. Corner, Marseille. Conceded by Presnel Kimpembe. Attempt saved. Kylian Mbappé (Paris Saint Germain) right footed shot from outside the box is saved in the centre of the goal. Assisted by Ángel Di María. Ángel Di María (Paris Saint Germain) is shown the yellow card. Substitution, Paris Saint Germain. Colin Dagba replaces Dani Alves because of an injury. Corner, Paris Saint Germain. Conceded by Florian Thauvin. Attempt saved. Thomas Meunier (Paris Saint Germain) right footed shot from the right side of the box is saved in the top right corner. Assisted by Dani Alves. Attempt missed. Boubacar Kamara (Marseille) header from the centre of the box is close, but misses to the left. Assisted by Florian Thauvin with a cross following a corner. Goal! Paris Saint Germain 1, Marseille 0. Ángel Di María (Paris Saint Germain) left footed shot from the centre of the box to the bottom right corner. Assisted by Marco Verratti with a through ball following a fast break. Corner, Marseille. Conceded by Thiago Silva. Attempt saved. Mario Balotelli (Marseille) right footed shot from outside the box is saved in the centre of the goal. Assisted by Morgan Sanson.